Purdue’s 2012-2013 basketball team likely will come down to how well our Johnsons are performing...Something that is generally a personal issue will become relevant to every Purdue fan. Here is a look at the newest baby Johnson. Ronnie Johnson is the younger brother of Terone and will likely see massive amounts of playing time for a freshman. He just finished up a great senior season averaging 20.1 points, 5.3 rebounds, a little over two rebounds and shot almost 40 percent from beyond the arc. Johnson is going to be a key to success for the Boilermakers in the coming seasons. Losing Lewis Jackson is going to hurt, but LewJack's game was limited in ways that RonJon's is not. Johnson’s offensive game is much more well-rounded than was Jackson's, but Lew’s fight, drive, leadership and defense are places in which he will be most missed. But in a way, we have LewJack 2.0 coming in to Purdue. 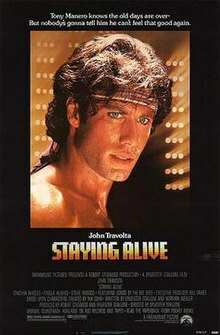 It’s too early to tell if the sequel is going to be a Godfather II or something like Staying Alive (an awful sequel to Saturday Night fever). In my opinion, we are in for a treat in the coming years with Ronnie. Being fast, quick, and full of defensive prowess, he is going to make some big noise in the Big Ten within the next two seasons. Although there are high expectations for the Johnsons, remember he is still growing as a player and adjusting to the pace and physicality of the B1G is not easy to do. It’s going to take some growing and learning, but this kid will be in the starting line-up by the end of the next season, if not sooner. One issue I have with Johnson's game is his rebounding. Although Johnson played on a team with "bigs" he is going to need to work on his rebounding. His rebounding numbers this season were low, yet at Purdue, rebounding guards are key to success...and his predecessor, in spite of a lack of size, pulled down a ton of boards. Having a little range to his shot, Johnson is going to provide something Purdue hasn’t seen from a point in years- a legitimate threat to score from long distance with regularity. Johnson's deceptive quickness, unselfishness, court vision, shooting ability, understanding of the game and all-around grittiness are some of the things that might make him a great college player. It should be exciting in the next few years to watch him alongside his brother...as well as AJ, in the coming seasons. And if nothing else, it'll be fun to hear Cliz squirm the first few times they're all on the court together. As just one part of a great class coming in, Purdue has a solid foundation for the next few seasons. These guys will need to be instantly impactful for Purdue to have success in '12/'13...and with many needs in both the backcourt and front court, they'll have the chance. A lot of people, both inside and outside of the media, are overlooking this group due to the hype surrounding the high rank of Crean’s Clowns in Bloomington. Seriously though, how are you supposed to keep a straight face when the coach tells you to guard Yogi, or even better Peter Jerkin. Our three-headed Johnson will surely dominate Peter Jerkin, see what I did there?